At the long standing recommendation of a number of friends (and thanks to the very kind gift of book tokens) I picked up China Miéville‘s Kraken in the new year sales. This weekend, with nothing but adverts and dross on the TV (and having finished Skyrim as best I can with its inherent plot glitches) I set time aside to dive into what I hoped would be a gripping ripping yarn from someone who is acclaimed as a master of the New Weird. Miéville crafts a well convoluted tale and clearly understands the various aspects of the world he writes about. Kraken starts with a simple enough mystery but quickly descends into a dark and twisted hidden world that would make Moorcock proud. I quickly drew parallels with Neil Gaiman’s Neverwhere but Miéville’s hidden London, his Heresiopolis, is far more mature and less fantastical – and with a far more brutal bogeyman pair than Neverwhere’s Croup and Vandemar in the universally feared Goss and Subby. Kraken also shares kinship with Charles Stross‘s Laundry Archives; with a similar intermingling of today’s gadgets with arcane wards and hexes. It isn’t too far a stretch of the imagination to see Miéville’s F.R.S.C. working hand in hand with Stross’s Laundry. Kraken is less overtly Lovecraftian than the Laundry Archives though, Cthulhu and his ilk being just another set of beliefs – a drop in the ocean that Miéville’s London arises from. I found it hard to put the book down, especially towards the spiralling end where Miéville pulls the strands of his tale back and weaves them into an incredibly gratifying ending. One thing I particularly enjoyed was the occultural references that he placed within the novel. 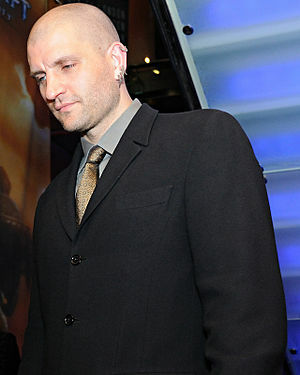 China Miéville’s explanation of the “knacks” and magical techniques used by some of the characters – as well as his portrayal of online occult subculture – is superb. The story also ties this fantastic alternate London into the politics and zeitgeist of today’s society – it will be interesting to see how well the story ages. So impressed am I with Kraken that I am sure I will enjoy the rest of Miéville’s work, although I don’t agree with his politics or his views on Tolkien. 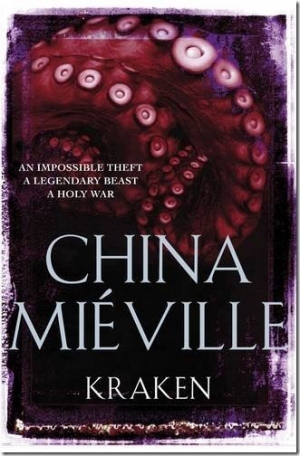 That being said, I’ve never let an author’s political viewpoint stop me enjoying their work; Miéville’s dedication to his political belief’s is admirable and adds a good flavour to Kraken – even if he does tie chaos magicians and Nazis together. Chaos magicians could be said to be more closely associated to the Cult Collectors in Kraken than anti-semitic hatemongers. 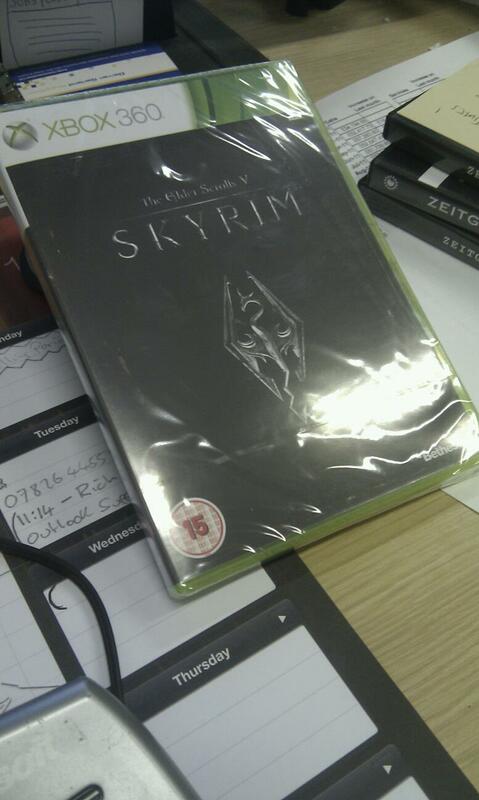 I received The Elder Scrolls V: Skyrim from Amazon, last Friday, the day of release. I’d love to write about Skyrim but sadly, my spare time has been taken, this weekend, due to slogging through several quests other commitments. If I had the time, I’d probably waffle on about how the game appears to have met the hype head-on. I’d probably go onto mention how pleasing the graphics are, especially the models for many of the diverse peoples and creatures of Skyrim; I’d tie this eloquently into some reference or other to the smooth gameplay. In fact, if I weren’t so busy elsewhere, I’d mention how many of my XBOX Live friends had managed to achieve a whole 36 hours progress by the time I started the game on Friday evening; possibly going on to mention how different their own individual experiences have been to my own and that Skyrim seems to reward players in very different ways, depending upon their gaming style. I’d lament the inability to craft my own spells but applaud the improvements to the Alchemy and Smithing system – balancing both with comments on Enchanting. It is most likley that I wouldn’t bother writing about the one and only crash whilst reloading for the umpteenth time after having my behind repeatedly handed to me by some sort of Gloomsayer. I think I’d wrap up with some anecdote about LRP/Skyrim crossover dreams, and my inability to disarm anybody with a Shout at Lorien Trust LRP events due to the prevalence of the Immune to Fumble occupational skill. As I mentioned earlier, I have taken up the gauntlet set down by The Insatiable Booksluts and accepted their reading challenge. To start with I chose Cormac McCarthy‘s pulitzer prize winning The Road . A seemingly easy transition from the kind of pulp literature I am used to, I figured that this tale of a post-apocalyptic journey would ease me nicely into the less comfortable literary faire that sits on the Pulitzer list. It was also to hand as a work colleague had kindly lent it to me after a conversation about how much I hated the film No Country for Old Men . As The Road has also been translated to film, I’d mentioned that I hadn’t read it and would prefer to read it before seeing the film – lest the films imagery taint the author’s own descriptive talents. I started reading at 19:30, after a light meal of Lemon Chicken and Rice; I finished at 22:25, with just enough time to watch the first two episodes of the eagerly anticipated second season of Mongrels on BBC3. Now three hours isn’t by any means a record for me. I think James Herbert’s The Rats currently holds the record for me, with a total reading time of 51 minutes beginning to end; but maybe that’s just Herbert. Within moments of starting out, I was completely wrapped up in McCarthy’s prose. The nameless lead and his boy moved from scene to scene, carrying me, the reader, like an unseen guardian – impotent to help with the predicaments they face. 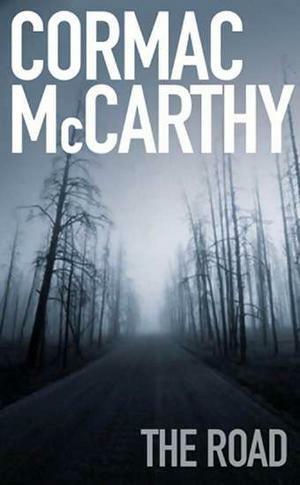 McCarthy’s descriptive prose is subtle enough to leave a lasting hint of the devastation and desolation the two wander through. A dank and dusty world of grey, black and white. Some of the more visceral scenes were not as shocking or disturbing as they were probably intended and in this regard I blame the hundreds of hours spent playing Fallout 3 and Fallout: New Vegas, where scenes of cannibalism and torture are the norm. Whilst it is worth reading The Road for the scene setting alone, it is the interaction between Father and Son that really hooked me in. I’m not a parent myself but McCarthy had me feeling that sense of paternal protection from the get go. Most interesting of all is the disparate points of view between Father and Son, in particular the way that the Father tries to protect his Son from viewing scenes that the child has grown up with. The Father seeks to protect his son from the more severe and charnel scenes of change in his world; the Son has never known a different world. McCarthy also caused me to question the contemporary definition of Good and Bad. The Father and Son see themselves as the Good Guys but as the story evolves, the Son’s infant understanding of Good and Evil in terms of black and white are contrasted with the Father’s shades of grey. This manifests at its best in the Son’s silence, as he presumably mulls over the perceived wrong-doings of his Father; a silence broken when his Father gives honest justification of previous actions. As the relationship unfolds we see the Son understanding the reasons behind his Father’s actions but I’m left with the impression that the Son disagrees. All in all, I enjoyed The Road. It’s a little maudlin but thought-provoking at the same time. Definitely worth spending a few hours on. I’ll certainly not turn my nose up at other offerings from McCarthy and I will definitely seek the film out now but I think I’d like to try something more cheerful for the next challenge.